While you might not think a web hosting company can do much about that, they actually have pretty much everything to do with slow servers. If your business hosts a website online, then this information is crucial to your prosperity. Once you understand how crucial web hosting is to your business, then you’ll probably be in the market for hosting providers. Lucky for you, we’ve done the work for you and compiled a list of the top providers in Ireland. SiteGround has been a leading hosting provider since 2004. The international company has offices in the USA, UK, Netherlands, and Singapore. With services such as shared hosting, cloud hosting, and dedicated services, their offerings are pretty comprehensive for businesses and individuals. As an added plus, they have WordPress-specific hosting plans, which make it easier to get your WordPress site up and running. Seeing as WordPress rules the CMS market with 60% of the share, this is an interesting perk for some website owners. Because SiteGround is such a large company, their customer support is excellent. Their client backend offers a 24/7 online chat support feature that’s great for when you need answers to questions fast. Their pricing starts at just €3.95 per month, which is a steal. Or, you can move up to €6.45 per month and enjoy web hosting services for unlimited websites you might own. When you sign up, you can choose which data center you want to work with. The office in London is on the same time zone as Dublin, which makes it great for Irish businesses looking to receive hosting services close to home. Like SiteGrond, FastComet is well-known and popular all over the world. They offer similar features as other hosting providers in Ireland and across the globe, but they kick it up a notch with their add-ons. On top of offering 100% uptime and unlimited bandwidth, FastComet also offers domain registration for free and free renewals for life. At $12-15 USD to renew domains yearly, this is a great benefit for companies looking to save in the long-term. On top of that, they add on free cPanel and free daily backups. If your business is data-heavy and relies a lot on the safety of it, then this is a nice perk to have. Another plus is that FastComet has seven data centers all over the world, making it easily accessible for Irish businesses and even better for those who might need a little more support for their website. If you’re new to web design or web hosting in general and aren’t quite sure what you’re doing, the support offered by FastComet can save a lot of wasted time and money. With SSD servers that can boost access to your files by up to 300%, this is a pretty great option for a pretty low price. If you’re looking for eco-friendly Irish hosting providers, then GreenGeeks might be your best bet. The most attractive thing about GreenGeeks actually has nothing to do with their web services offerings. It’s the fact that they use the energy that users consume to put back into the grid through wind energy. They don’t seem to offer SSL certificates for their users, which is a serious drawback. However, it seems small in comparison to the other benefits you receive at the price they offer. If specific web hosting services are less important to you and you’re more focused on running a green business through and through, then give GreenGeeks a look. There’s nothing wrong with this, as it’s actually a pretty positive way for Irish companies to enhance their green efforts to keep up with other EU countries. While most hosting providers have main data centers in the United States or offices around the world, 1&1 IONOS is one of the largest European-based hosting providers. The most attractive thing, initially, about this provider is their incredibly low prices. Starting as low as $.99 USD per month, it’s hard to find more budget-friendly web hosting. Aside from that, they offer something that most other plans don’t, which is free web design software. Other providers tend to offer something similar in terms of free templates, but this is a bit of a step up. You can also count on the standard web service offerings such as SSL certificates, 24/7 support, a graphics archive and even transparent replication. While this isn’t necessarily out of the ordinary, 1&1 IONOS also provides its users with a whopping 300Gbps network connectivity. If speed is important to your company’s Google rankings (which it is), then this is a huge plus. The secure hacker protection and baremetal servers are noted as two of the top features that make this plan great for businesses in particular. Cloudways offers something that most Ireland web hosting companies don’t: a free 14-day trial. To be fair, a free trial of something like a web hosting service isn’t that big of a deal, but it’s an interesting offer for smaller businesses who want to test run something before paying. Cloudways refers to themselves as an “innovative platform built for agile teams,” and that’s what they offer. Their integration with Amazon Web Services sets them apart from the rest. If you’re a small company looking to scale, then hosting your website on a cloud-based server really is the way to go (regardless of the provider you choose to go with). They also offer a free WordPress cache plug-in that comes pre-installed, so you don’t even have to download it yourself. It wouldn’t be a comprehensive web hosting list if we didn’t include Wix. While they’re not necessarily known around the world for being a hosting provider, they are popular for their design features. Over 100 million people across 190 countries use Wix to quickly and easily create websites. With hundreds of pre-made templates to choose from, Wix stands out for the creative simplicity it offers its users. It’s not the only drag-and-drop platform out there, but it’s probably the most well-known and most-used. You don’t have to pay to create a free website with Wix or to publish it, but you’ll need to pay to link your domain name to the site. In terms of creating an SEO-optimized blog and engaging in eCommerce practices in Ireland, you’ll find yourself a bit limited. However, if you’re looking for a really beautiful website that you can create in minutes, Wix is a great option. As an Irish business, you need Irish-specific attention. That’s precisely what Host.ie provides you. With numerous data centers all over the country and scalable solutions designed for your specific needs, Host.ie is one of the best hosting providers you’ll be able to find that will cater to your needs. You can count on pretty much all of the features listed with other providers and so much more. For example, Host.ie offers over 400 web applications you can use to create your own website. You’ll also get free emails included in some plans. The ability to register a .ie website is even better, as it will help you attract more local, Ireland-based clients and allow you to have more domain authority. There’s a reason we are ranked in the top three fastest growing Irish web and domain providers. With the perfect mixture of outstanding services and stellar support, it just makes sense for Irish-based companies to go with an Irish-based web and domain provider. Hosting providers in Ireland vary in quality, services and customer support they offer their users. Choosing the right one for you and your business can seem like a daunting task, and that’s totally normal. 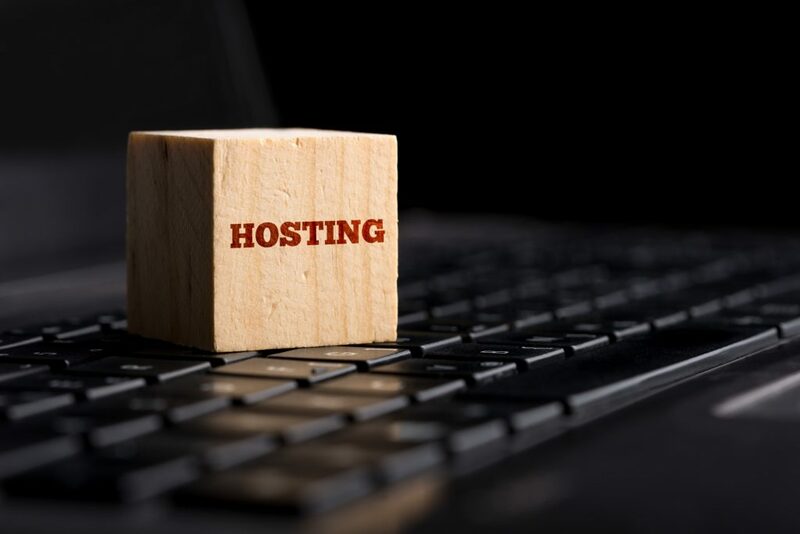 If you’re not quite sure what kinds of services you need out of your web hosting, contact us today to learn more about what Host.ie offers you and if our plans are right for your needs.